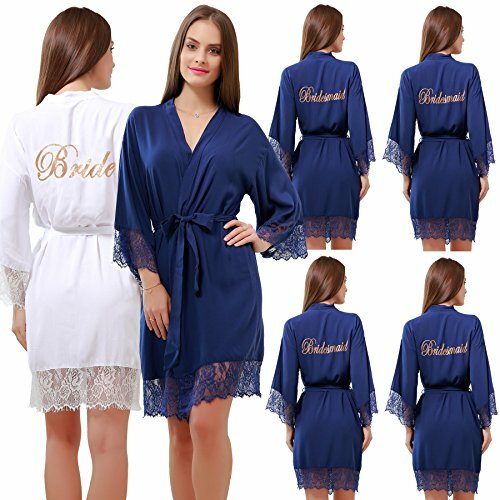 Made with a lightweight cotton material, this robe is made for ultimate comfort and adds a hint of efforless elegance to getting ready or lounging around the house. 3. Many different colors available. * S: Bust 44.5"; Sleeve Length 14.5"; Kimono Length 37.5"; Belt Length 59"
* M: Bust 48"; Sleeve Length 15"; Kimono Length 38.5"; Belt Length 59"
* L: Bust 51"; Sleeve Length 15.5"; Kimono Length 39.5"; Belt Length 59"
* XL: Bust 54"; Sleeve Length 16"; Kimono Length 40.5"; Belt Length 60"
Made of high quality cotton so the robe is lightweight,soft and comfortable with Interior Ties, Sash Belt, Outer Belt Loops. If you have any questions about this product by GoldOath, contact us by completing and submitting the form below. If you are looking for a specif part number, please include it with your message.